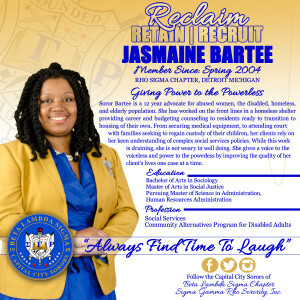 Our experience with branding Sigma Gamma Rho Sorority, Inc. began with projects to brand national conventions with logos, conference booklet designs, and so much more. 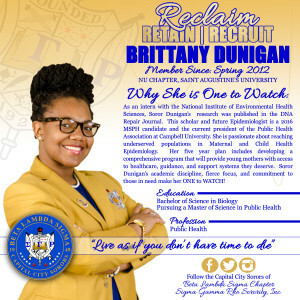 Chapters on the local level began recognizing the need and importance in creating a visual account of their Sigma greatness. 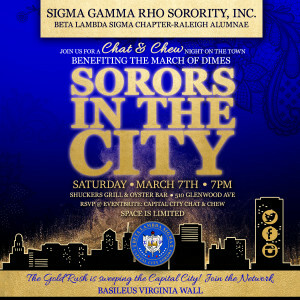 The latest contribution we have to the Sigma Gamma Rho branding is with the Beta Lambda Sigma chapter. They have created a “Gold Rush” campaign that is a series of events and recognition of members that have reactivated, renewed their membership or are newly recruited. We are excited about what is next to come!